In October 2017, Portugal was hit by the most widespread and destructive firestorm in living memory. More than 500 separate fires broke out after sparks from previous fires set afire bone dry undergrowth and fanned by winds from Hurricane Ophelia, created massive fast-moving walls of flame that engulfed almost a third of the country. The Serra de Açor region in the picturesque region of Arganil was one of the worst hit areas with around 90% of the local forest and the majority of the agricultural land burnt. In the area surrounding the village of Benfeita around 40 families lost their homes and all their belongings as well while many more lost outbuildings, tools and crops. The community was in shock. 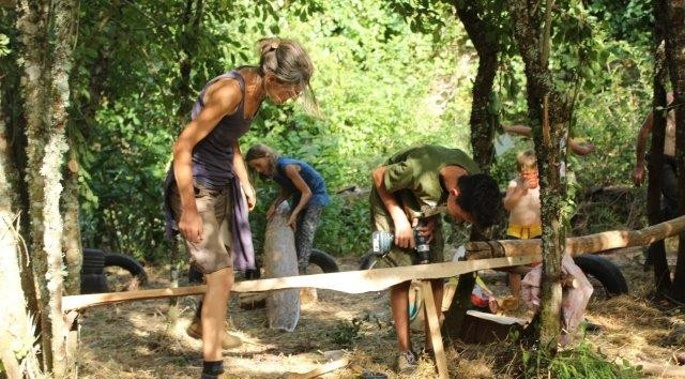 Neither the local Portuguese living in traditional villages nor the newer international eco-minded settlers drawn to the area by the possibility of living more sustainably, had ever faced such challenging times. AMURT Portugal and AMURT UK joined forces to help the victims of this dreadful catastrophe and, with major inputs from the local community, have so far managed to raise €15,400 through appeals and online crowdfunding. Much more is still needed.